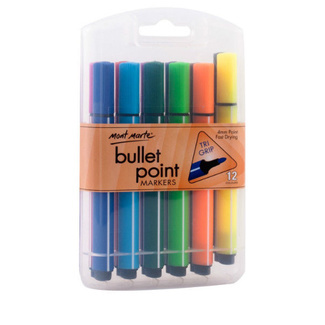 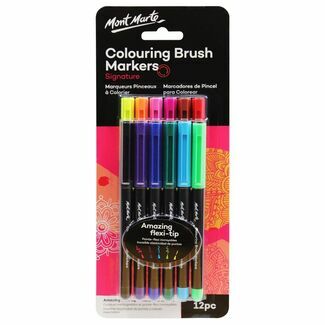 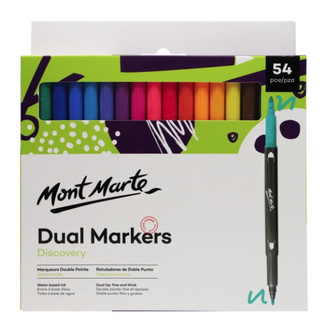 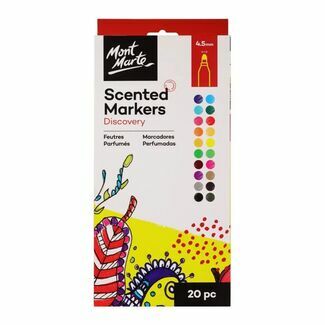 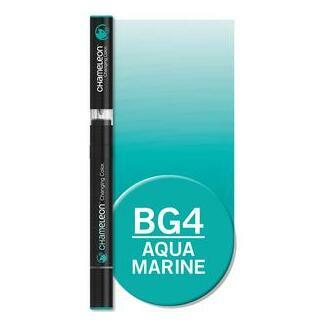 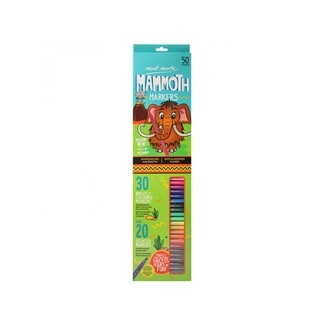 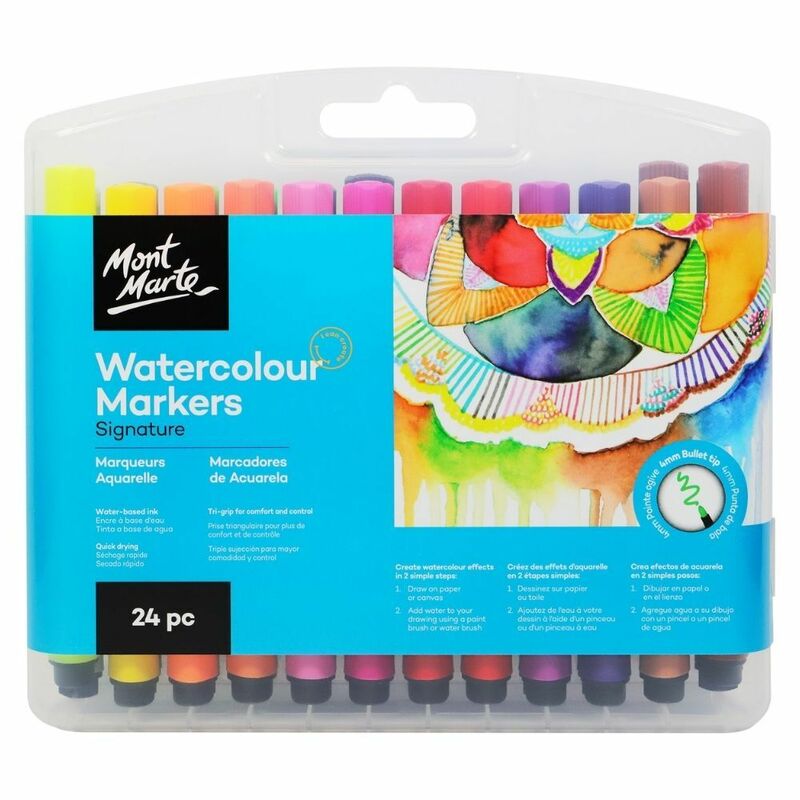 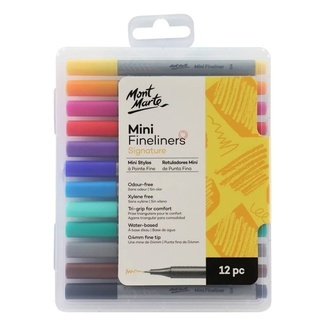 Mont Marte Coloured Markers come in a vibrant range of 24 colours. 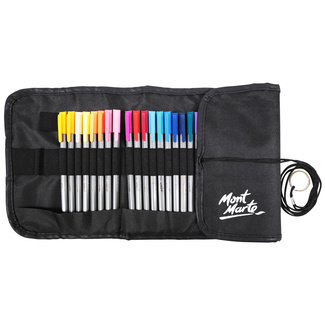 The tri-grip design makes for a comfortable and easy to hold experience. 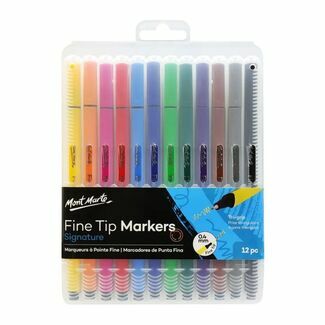 Each marker has a 4mm thick nib with fast flow, quick drying ink. 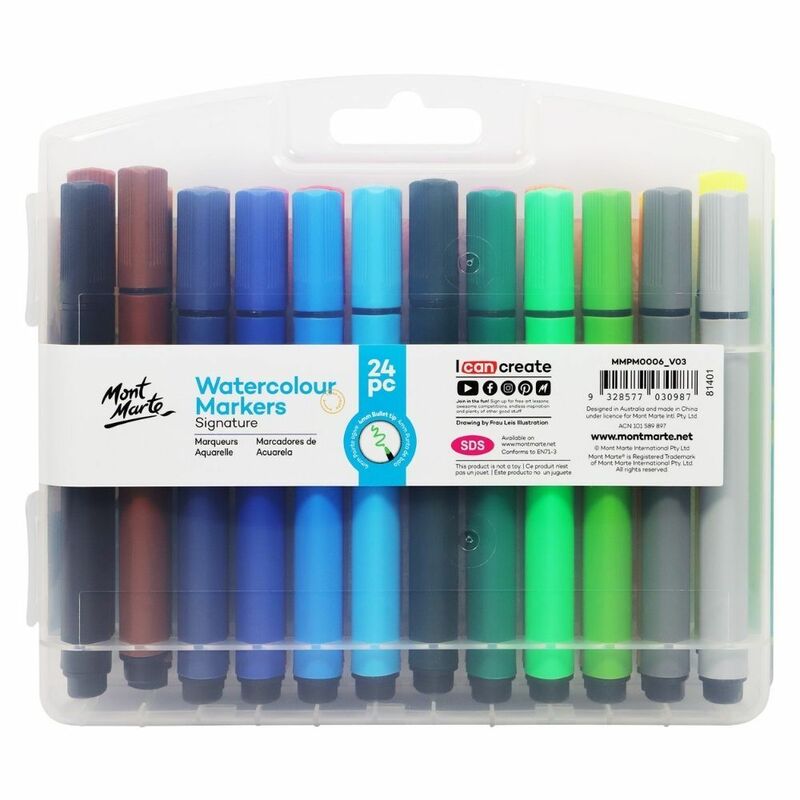 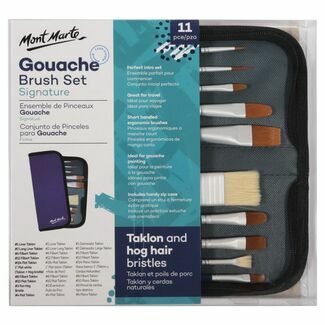 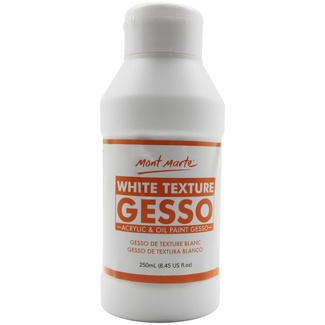 Great for a wide range of art, craft or design projects.